Baz Luhrman's The Great Gatsby promises to be one seriously flashy adaptation of F. Scott Fitzgerald's great book, but sadly we still have a while to wait until we actually see it. The film was originally going to be released this Christmas, but in a surprise move - we're still not 100% clear on the reasons - Warner Bros. decided to push the film all the way back to summer 2013. Naturally it's a bit strange to still have marketing materials for the movie coming out considering it couldn't hit its first release date, but the studio has sent out two new character posters for you to check out. The posters are the third and fourth pieces to be released in the series, which started earlier today. 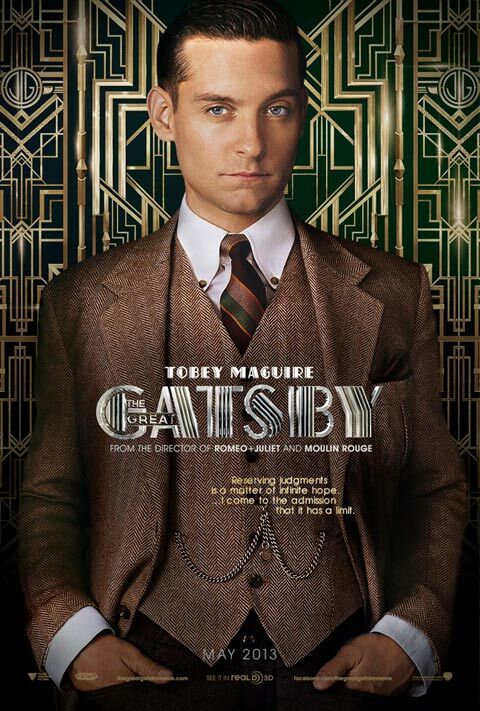 You can see posters for Tobey Maguire (Nick Carraway) and Elizabeth Debicki (Jordan Baker) below (click to see them full size) and head over to THIS LINK to see Joel Edgerton (Tom Buchanan) and Isla Fisher (Myrtle Wilson). 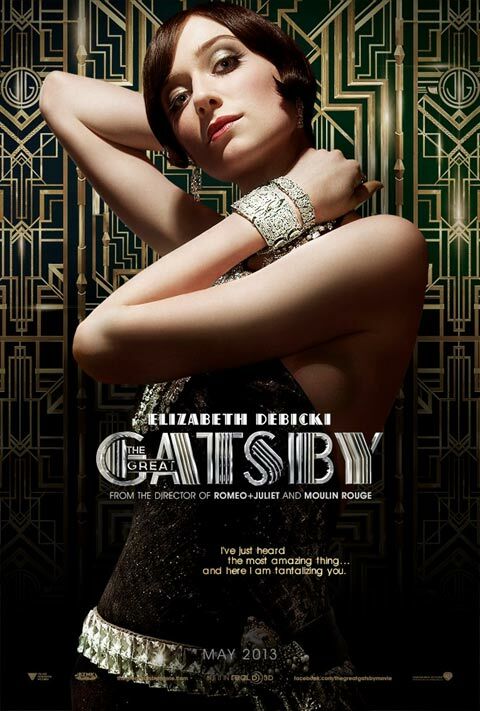 Presumably the next two posters will feature Leonardo DiCaprio (Jay Gatsby) and Carey Mulligan (Daisy Buchanan), but as of now we don't know when they might arrive. Stay tuned! Adapted by Luhrmann and co-writer Craig Pearce, The Great Gatsby tells the story of a young man from the Midwest who finds himself caught up in the world of high society on Long Island after he meets a mysterious, rich man named Gatsby. Jason Clarke, Adelaide Clemsems, Gemma Ward and Callan McAuliffe also have roles in the film, which is set to be released May 10, 2013. For more high-res goodness as well as the first trailer head over to our Blend Film Database.